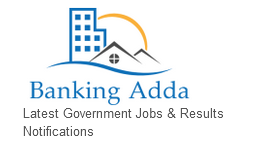 IBPS (Institute of Banking Personnel Selection) advertise online application form for the Recruitment of for Clerk Posts Posts in the Participating Organizations against 7275 Vacancies/Posts. Interested and Qualified candidates can apply online from dated 18 September 2018 to 10 October 2018.The official Notification for IBPS Clerk Exam 2018 released on 14th September 2018.The written test for Clerk Exam 2018is going to be held on 08th,09th,15th & 16st December 2018.Candidates can apply online from Official website ibps.in .Please find all other details given below. Note:-The number of given vacancies given for IBPS clerk exam 2018 are including all categories. For Category wise IBPS vacancy you can check the official notification. The no of vacancies is tentative & maybe changed at any stage by Service H.Q. Please note that candidates will not be permitted to appear for the IBPS Online Preliminary as well as Online Main Examination) without the following documents: (1) Valid Call Letter for the respective date and session of Examination (2) Photo-identity proof (as specified) in original bearing the same name as it appears on the call letter/ application form and (3) Photocopy of photo-identity proof (as mentioned in (2) above) Candidates reporting late i.e. after the reporting time specified on the call letter for Examination will not be permitted to take the examination. IBPS Clerk Exam 2018 divided into two parts Preliminary Examination and Mains Examination.Please check the Syllabus given below for both Preliminary & Mains Examination & Prepare accordingly. 1 IBPS Clerk Exam 2018 A Degree (Graduation) in any discipline from a University recognised by the Govt. Of India or any equivalent qualification recognized as such by the Central Government. Candidate age should not be more than 28 years and not below than 20 years as on 01.09.2018 i.e. A candidate must have been born not earlier than 02.09.1990 and not later than 01.09.1998 (both dates inclusive. IBPS will declare the result of Clerk Exam 2018 after completing all the selection process. Candidates qualified in the IBPS Preliminary Examination llbe called for IBPS Clerk Mains Examination and after qualifying the Mains Examination candidate is called for the interview. After Final Interview candidates are called for the document submission Like Educational Documents & also the other documents required for IBPS Clerk Recruitment 2018. Interested candidates apply online ibps clerk can download the previous year’s Question Paper in the PDF Format from here. Go through the question Papers or Model test Papers for the Recruitment & answer the questions. Click on the below links to download sample question papers from the official website IBPS.in & check your IBPS result.